Dr Christoph Zwolan is an experienced counselling psychologist who is chartered by the British Psychological Society (BPS) and registered with the Health and Care Professions Council (HCPC). He works with adults and young people (aged 16+) with a wide range of issues and problems including: trauma / PTSD (post-traumatic stress disorder); depression and mood issues; anxiety-related issues (social anxiety, obsessive compulsive disorder (OCD), generalised anxiety disorder, panic attacks, phobias); relationship issues; anger; grief and loss; work / academic related stress; abuse (childhood sexual abuse, intimate partner violence); self-harming behaviours; identity issues; life transitions and change; low self-esteem and assertiveness; and sleep difficulties. In addition he is able to work with immigration related problems; transpersonal experiences; existential and spiritual issues; integration of entheogen’s induced experiences; death and mortality; and mindfulness induced adverse effects. Christoph has particular experience of working with adults who have symptoms of post-traumatic stress including those who have experienced sexual abuse. Christoph is fluent in Polish and is happy to work with people who would feel more comfortable speaking in this language. Christoph combines a number of different approaches in his therapeutic work with clients including: counselling / psychotherapy, person-centred therapy, cognitive-behaviour therapy (CBT), and elements of mindfulness and Buddhist psychology. He aims to provide each client with a therapeutic solution tailored to suit their individual needs and preferences. Christoph has worked for a number of different organisations in both a paid and voluntary capacities. He currently works as a psychological therapist with Wellbeing Scotland where the project requires short-term therapy solutions. However he is also experienced in working with clients on a longer-term basis. 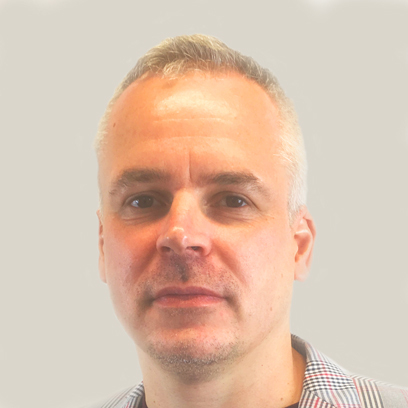 Christoph has a Doctorate in Counselling Psychology and a PG Certificate in Psychology and Mental Health from Glasgow Caledonian University as well as a BA (Hons) in Psychology from Edinburgh Napier University. In addition, he has undertaken training in a number of areas including Mindfulness Based Stress Reduction; Managing Actual and Potential Aggression; Applied Suicidal Intervention Skills Training; and Working with People Who Self-Harm. Christoph is chartered by the BPS and registered with the Health and Care Professions Council (HCPC). He is a member of the Division of Counselling Psychologists. Christoph charges £75 per session for self-funding clients. He also works with clients referred via their employer/organisation – for further details, please visit First Psychology Assistance.